Given by the Hon. Arthur Villiers. 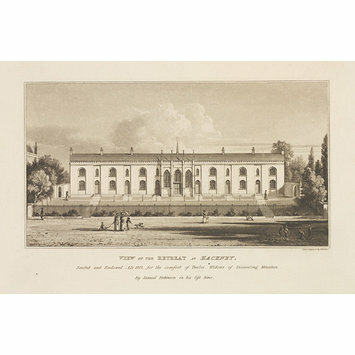 Aquatint depicting a large Georgian almshouse with grounds. Erected and Endowed A.D. 1812. for the Comfort of Twelve Widows of Dissenting Ministers. By Samuel Robinson in his lifetime. 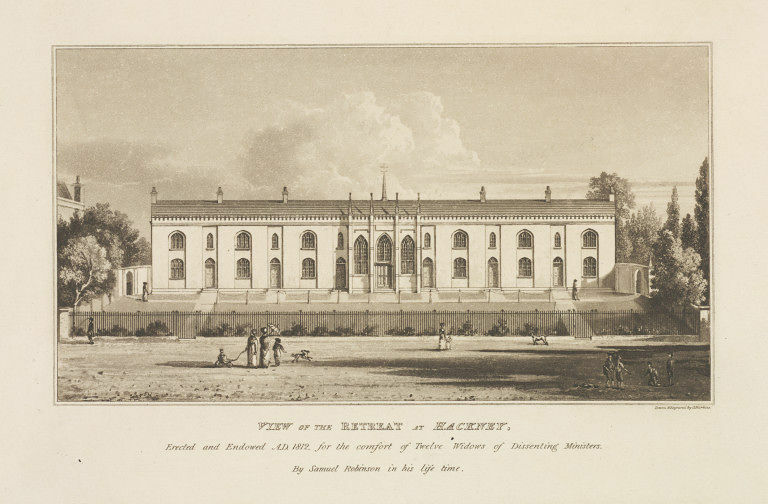 Aquatint of a view of Robinson's Retreat at Hackney by G Hawkins, 1812.